Panhala is well connected to pune by road, the total distance from Pune to Panhala is 230 km.The total time taken to reach the Panhala Fort is 4 hours during this journey of four hours the places which are covered are Shirwal and Kashil. Shirwal lies on the bank of river NIRA. Shirwal is a small village located between Satara and Pune. Kashil lies on the highway of NH4. Kashil lies at the Confluence of Krishna and the Urmodi river. The nearby cities were tourists can visit they are Umbraj and Nagthane which are just 10 kms away from Kashil. Panhala is a hill fort with a height of 845 meters which is owned by the Maharashtra Govt. 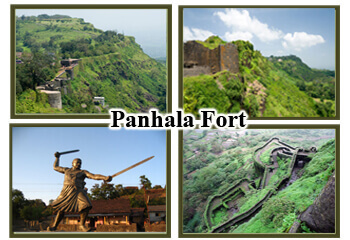 The Panhala Fort is also known as Pahalla . The queen of Kolhapur Tarabai spent her manny years in Panhala Fort. Several Parts of the fort and their structures are still interactive there. After the deth of Bijapur general Shivaji Maharaj took Panhala from Bijapur. In may 1660 to win back Panhala from Shivaji Maharaj Adil Shah 2 of Bijapur Sended his army to lay siege to Panhala Shivaji Maharaj Fought back to take the fort back but he failed to take the fort. The major features of of Panhala it is one of the largest forts in the deccan most of the architecture of Panhala fort is of the Bijapuri style with a peacock motif of the Bahmani Sultanate which is visible on the several structures. There are several monuments at the Panhala Fort which are considered notable by the survey of india. Thus it is a wonderful journey from Pune to Panhala with various places to visit and getting information about them. The Teen darwaza was one of the three gateways of the Panhala Fort and the others were the Char darwaza and the Wagh Darwaza, the char Darwaza was destroyed during the British Siege.